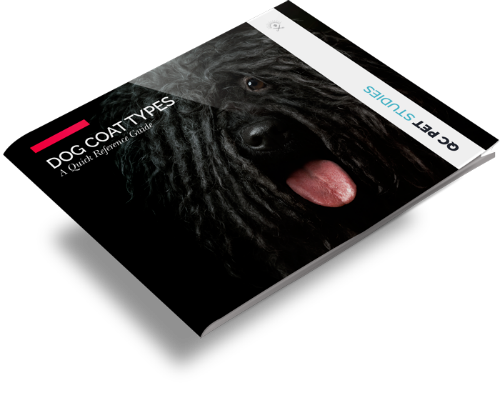 Use your free quick guide to dog coat types throughout your career as a groomer. Decipher the differences and traits of each type of coat, and how to properly care for each. Find out the various types of dog coats, and discover more information about the qualities of each coat. You’ll learn how to recognize each coat, common issues that arise in each, how often they should be groomed and bathed, and more. Every coat has specific needs and grooming requirements, which means you’ll need to be able to identify the type of coat on each dog. Your online dog grooming course will teach you about dog coat types, and you can draw upon your reference guide when you need it! Get your free download to keep on hand throughout your pet grooming career. Keep your reference guide in your kit, in your salon, or with your grooming course materials!